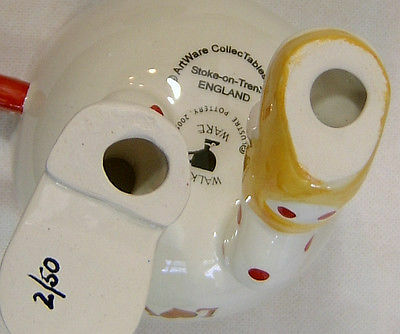 This is one of a special limited edition Kneeling Cup designed by Roger Michell of Lustre Pottery and manufactured exclusively for Artware Collectables in Stoke-on-Trent, England. 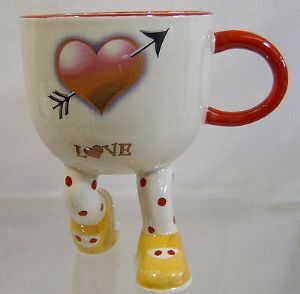 The Kneeling Cup has been produced to represent the 'Valentine Day' theme with the traditional 'arrow through the heart' stylized picture. The Cup stands 5.5 inches (14 cms) tall and has a top diameter of 4 inches (10 cms). It is in perfect condition. This one is numbered 5/50. I'm happy to provide further photos if required.